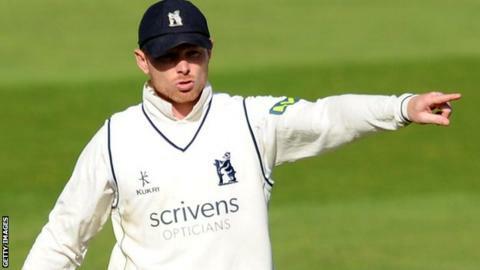 New Warwickshire skipper Ian Bell has been chosen as MCC captain for the champion county match in Abu Dhabi. England batsman Bell will skipper the team against Yorkshire in the annual four-day game, starting on 20 March. The 33-year-old will also be part of the MCC squad for the preceding Emirates T20 tournament in Dubai on 18 March, featuring the MCC, along with three English county teams. Bell already has commitments in March with Warwickshire in the UAE. He will lead a Bears side in two T20 matches against the West Indies, both at the Dubai International Stadium (4 and 6 March). Warwickshire will then have a two-day practice game involving players from their own squad in Sharjah, before meeting a United Arab Emirates XI over two days at the same venue. "This match is perfect for me to get some time in the middle ahead of the new season," said Bell, who has retired from one-day international cricket, but is still hopeful of recapturing his Test place this summer. "I'm very grateful to the MCC for offering me the chance to both play for and captain the team. It's a nice opportunity for some practice in warm weather, and it will of course be a privilege to represent MCC again." Following a request from Yorkshire, the MCC v champion county game, traditionally played at Lord's until 2010, will revert to being played in day conditions with a red ball. After successfully defending their county title in England last summer, Yorkshire will aim to emulate last year's success in the Abu Dhabi curtain-raiser when they beat an MCC side captained by Nick Compton, and containing England captain Alastair Cook, by nine wickets.